Perhaps dreaming of Talerdigg in the rain, 9017 busies herself on the Bluebell Railway in 2011. Photo copyright and permission of Chris Thomas. Bachmann's Dukedog appeared in 2014. These notes are intended to help potential purchasers make an informed choice, and to give some details of the many variations in this class. The class was created in response to the need for locomotives with an axleload more suitable for lighter lines, especially the former Cambrian routes into mid-Wales, the 'blue route' Bulldogs being considered to be too heavy, especially for the wooden Barmouth Bridge. The prototype of the class, 3265 'Tre Pol and Pen', appeared in early 1930, but the remainder of the Dukedogs, or 'Earls' as they were officially known, were introduced between April 1936 and November 1939. All the locos were rebuilds, being a combination of a Bulldog frame and the upperparts of a Duke 1. 3265 was something of an anomaly, allegedly (by many standard texts) having 3'2" bogie wheels rather than the standard 3'8" wheels fitted to the rest of the class, although there now seems to be considerable doubt whether the smaller wheels were ever carried, and no apparent reason why they should have been required. (The most likely explanation is that 3'8" was misread at some stage as 38".) 3265 had a non-standard cab, with no flare to the rear of the side sheets. 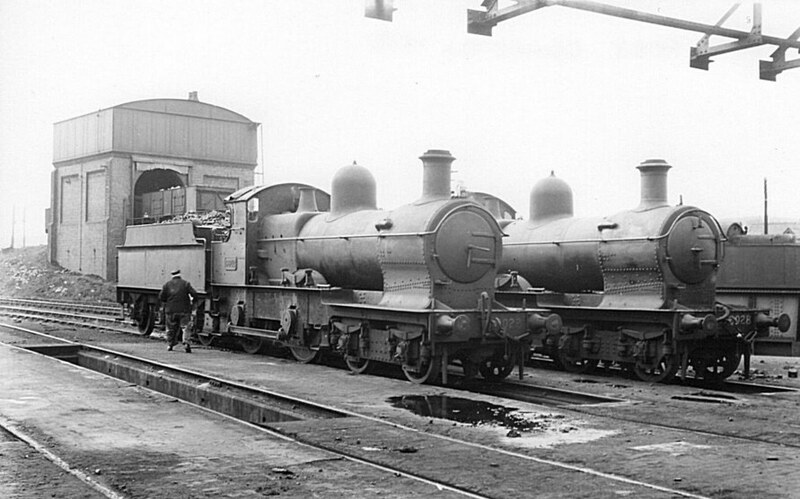 The first twenty of the production Dukedogs had names allocated, and the first 13 were actually fitted with nameplates, but these were removed in June 1937 and applied to Castles 5043–62. The whole class was renumbered by the GWR in July/August 1946 into the 90xx series, to prevent confusion with the 32xx series of the '2251' Collett Goods engines. The 90xx renumbering included the eleven surviving Dukes 2, and it is most likely the renumbering would have been done at local sheds, with engines continuing to carry whatever livery they were in at the time. 1 For the preserved 9017/3217, accounts differ as to which Duke(s) were involved. 2 9054, 9064, 9065, 9072, 9073, 9076, 9083, 9084, 9087, 9089, 9091. Apart from pairs of locos allocated to work the Didcot, Newbury and Southampton line during 1936–1948 and the ex-MSWJR line during 1936–1957, and four locos shedded at Bristol Bath Road in 1953–4, the main stamping ground for the Dukedogs was the ex-Cambrian lines west of Shrewsbury. With the exception of 3265, which appeared in 1930 with GREAT WESTERN on its tender, all the class first appeared in shirtbutton livery. In WWII, the power and route restriction indicators were lowered from their position high up on the cabside to just above the numberplate. The indicators remained in that position after WWII. Bachmann's 9003 was renumbered from 3203 in July 1946. It is not known whether 9003 ever appeared in green. 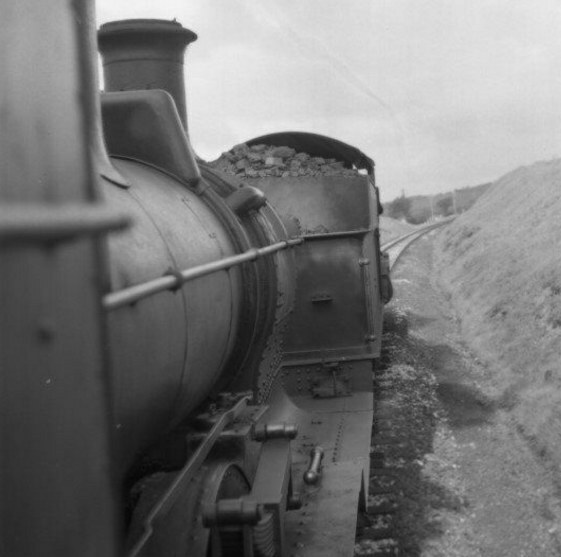 There is however a photograph in the Jim Russell locos book of 3216 in shiny green with G W R on its tender, which indicates it got repainted between late 1945 and August 1946, when it was renumbered to 9016. For many if not most of the class, the first proper repaint was probably into unlined BR black livery after nationalisation. Whistle position, whistle shields, the height of the handrail on the cabside, and the position of the upper front lamp iron also varied. The usual position for the front lamp bracket was on top of the smokebox, but some of the class had them lowered to be on the smokebox door, probably from c 1952. On some locos, a horizontal line of rivets was present on the side of the smokebox a couple of foot or so below the handrail line. On others, the number of these rivets was far fewer. On the as-preserved 9017, the smokebox wrapper has varied, from a full line of rivets to none at all. The pattern of the inclined set of rivets on the lower of the smokebox side varied. The most common tender attached to the Dukedogs was the Churchward 3500g type, with snaphead rivets, but flush-riveted tenders could be seen, particularly in earlier years. Several also ran with the smaller 3000g type, e.g. 9002, in 1953 (note the tender in 1949 lined mixed traffic black livery), and 9019 and 9026 ran with the small 2500g type for a spell. Tenders were subject to change. 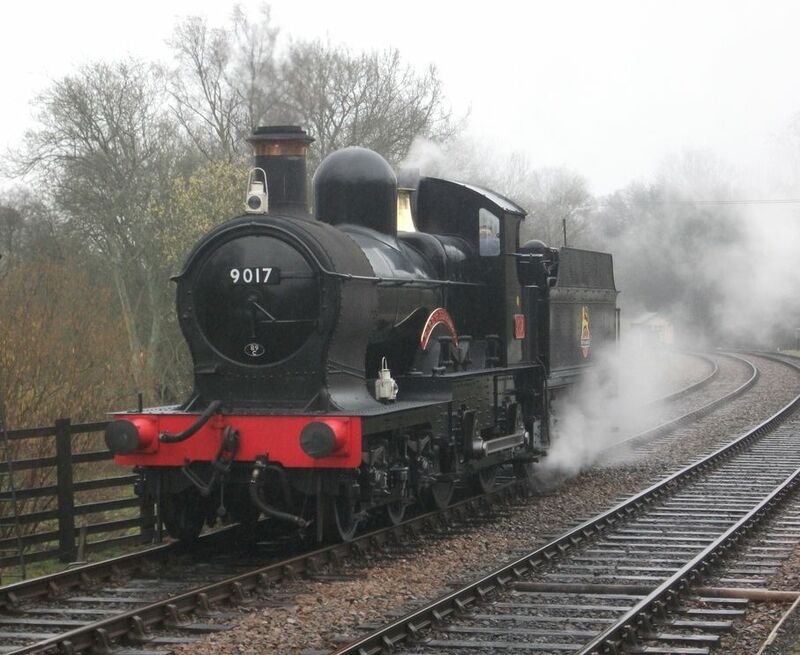 There are many online pictures of the preserved 9017, which is based at the Bluebell Railway. Shed allocations given below reflect a combination of data in Great Western Archive and BRDatabase.